Last Saturday was the training day scheduled for the freshly minted volunteers of the inaugural class of Glendale’s Trail Safety Patrol program. I was among 17 others who sat in the Glendale Police Department’s Community Room for eight hours to learn about procedures, first aid, protocols, and such. A reporter from the Glendale News-Press, Brittany Levine, was also in attendance. By far the most engaging segment of the day involved Glendale Police Officer Larry Ballesteros who discussed the best ways to deal with the inevitable “difficult” people we will meet on the trails. He asked for examples and I offered a scenario involving a speeding mountain biker. The ensuing exchange between myself and Ballesteros made it into her article published yesterday introducing the program. Not being a regular reader of that newspaper, but being a regular reader of Rodger Jacobs, my thanks go to him for finding it and mentioning the article on his blog. The pilot program set to begin next month rises from the ashes of cutbacks first to the city’s rangers and then to its naturalists program that basically has left Glendale’s 5,000 acres of open space pretty much unmonitored this past couple years. The Trail Safety Patrol is modeled after the successful Mountain Bike Unit (MBU) program, which I was a member of in 2004-2005. It was during that same period that Los Angeles City Councilman Tom LaBonge was considering changes to Griffith Park’s master plan. Much to the joy of equestrians and hikers he ultimately bowed to the pressure they induced and opted to keep the long-standing mountain biking trail ban in place, and in the summer of 2005 I wrote him lengthily asking that he consider implementing an “MBU-Lite” version in Griffith Park, after the jump. Needless to say LaBonge gave it zero consideration. As a lifelong Los Angeles resident I feel your stewardship regarding Griffith Park is to be commended and I applaud your efforts to protect such treasured open space as a recreational and educational natural resource now and for the future. But as an L.A. native who is also a mountain cyclist, I was disheartened to learn yesterday that you are ready to sustain the lack of access I should rightfully have to Gritffith Park’s network of trails. 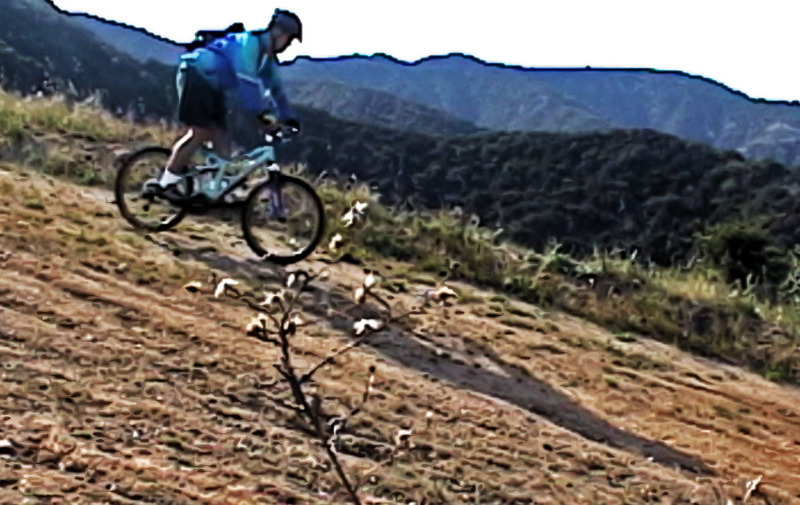 When I was a young boy living below the Hollywood Hills I spent many a weekend and summer’s day pedaling my singlespeed BMX bike up and down the access trails all over the area on journeys of adventure and discovery that took me up to the observatory and the Hollywood Sign, down to the Bronson Canyon caves and much more. But as an adult in my 15 years of enthusiasm for off-road cycling I have long encountered the negative perception for the activity that prevails throughout our communities. It’s a narrow and disparaging point of view that has resulted in me being unfairly blocked from riding in the hills closest to my home and heart yet pushed the farthest away by such blanket discrimination. I am not some sort of daredevil who carelessly wreaks havoc upon the terrain and risks injuring himself and others in some thoughtless pursuit of high-speed thrills. And I contend that rather than being the minority of mountain cyclists, I am in the majority who are conscientious and responsible in our off-road recreational pursuits. We respect all others on the trail, we maintain consideration for the natural environment, and we practice the highest standards of trail etiquette and preservation. Obviously there are those that don’t. But it’s also obvious that those unfortunate trail encounters between inconsiderate cyclists and equestrians and hikers can be cultivated and insidiously exaggerated to a point where everyone of us in a mountain bike saddle must suffer condemnation and banishment from participation in public recreational areas because of the danger we all purportedly pose to other trail users and the destruction we allegedly inflict upon the topography. I’m not sure what input, if any, led you to support the perpetuation of the ban on mountain cycling from Griffith Park, but I would be very interested in hearing your justification of it — specifically, any agencies you had discussions with and any formal impact studies that may have been conducted. First, I would encourage you to visit the nearby Verdugo Mountains directly north of Glendale only a few miles from Griffith Park. Open to both mountain cyclists and hikers, the Verdugos are a model of urban open space that does not exclude one type of trail user over another. 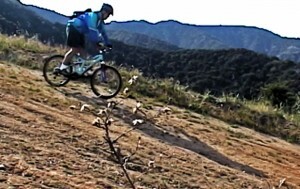 Second, I would recommend acquainting yourself with the good people over at the Mountain Bike Unit (MBU) website (http://www.mountainbikeunit.com). The dedicated volunteers with the MBU team work in partnership with the authorized law enforcement agencies to patrol public parklands throughout the Santa Monica Mountains with an aim to provide public assistance and resource protection. I suggest getting to know that organization because I can envision the establishment of a city-supported MBU-style unit in Griffith Park as a tremendous first-step opportunity to ultimately reopening it to mountain biking — and I would most certainly be the first to sign up. Trained by and working in conjunction with the park’s rangers and the LAPD, I can see a volunteer bike patrol team being an invaluable asset for improving the quality of the natural and recreational experience and supporting compliance and enforcement of the park’s rules for all — not just some — who wish to enjoy what Griffith Park has to offer. Councilman LaBonge, opening the trails of the public parklands of our city to mountain cyclists is a dream of mine that has not and will not easily fade. I appreciate you taking the time to read my opinions and suggestions and I hope you’ll give them more than just passing consideration and work towards a compromise that will promote inclusion, not exclusion. This entry was posted on Wednesday, December 12th, 2012 at 8:09 am and is filed under biking, media, outdoors, volunteer. You can follow any responses to this entry through the RSS 2.0 feed. Both comments and pings are currently closed.